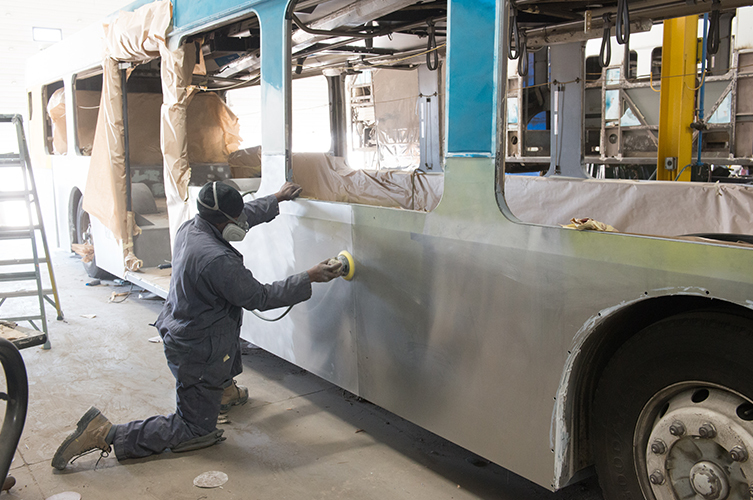 Refurbishment encompasses overhauls of existing buses to extend the bus useful life at less than half of the cost of a new bus. 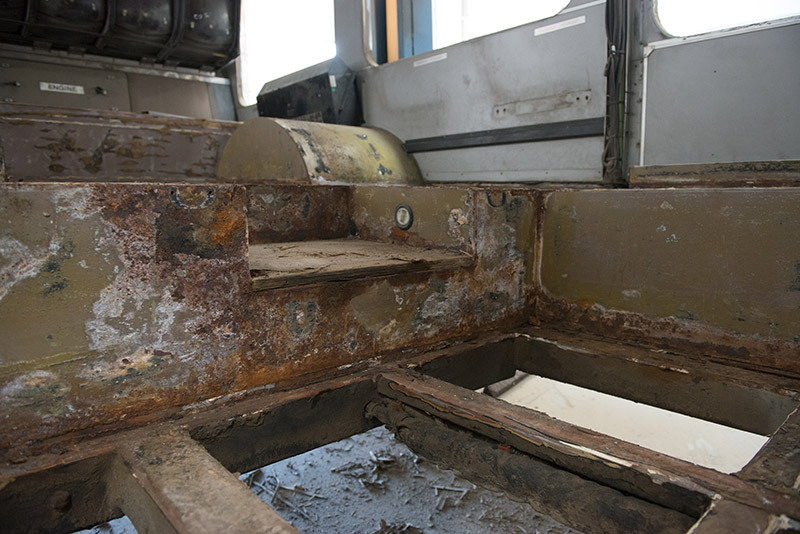 All buses require refurbishment at mid-life (8-10 years) due to corrosion and normal structural wear and tear. 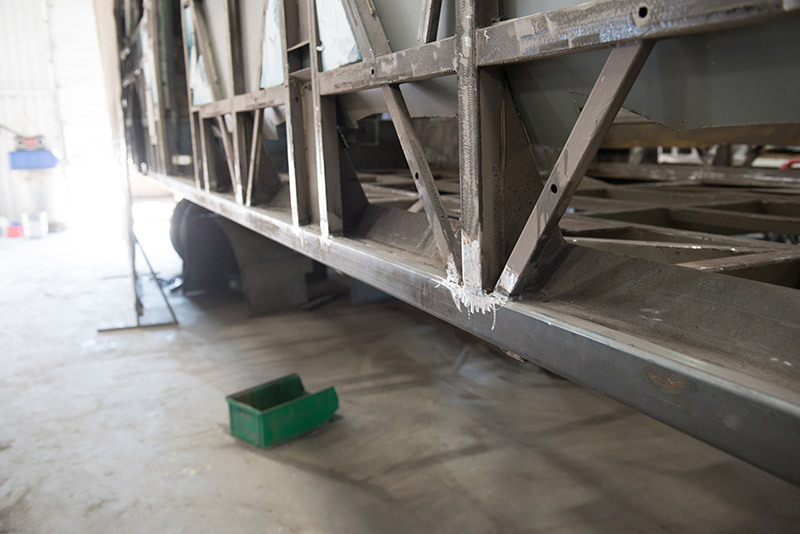 Refurbishment provides a cost effective solution to maintaining an aging fleet. 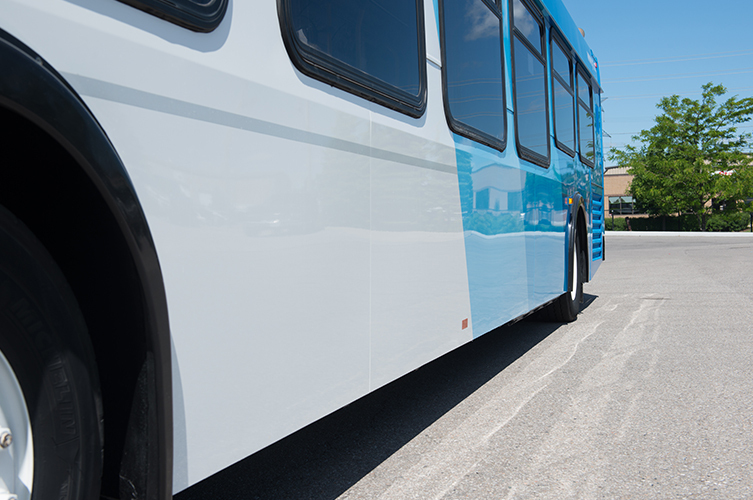 Over the past three decades MTB has overhauled virtually every bus model on the road in North America. 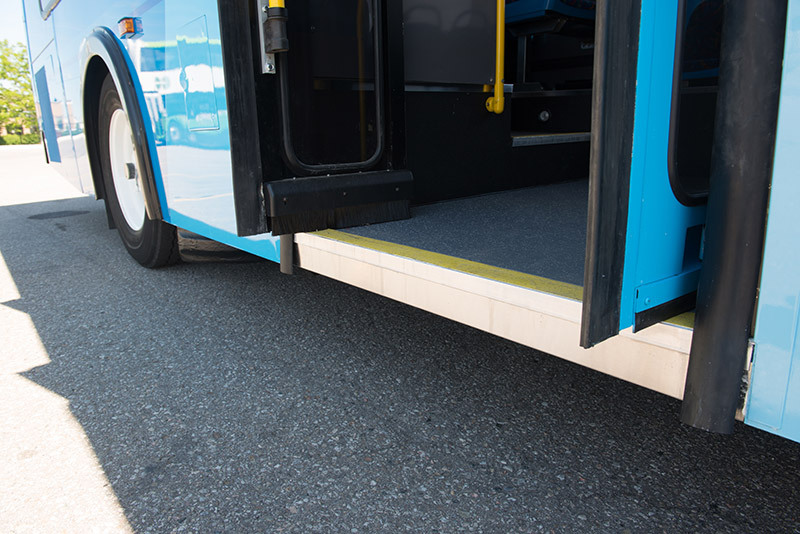 Our experience provides us with a unique opportunity to know what works and what doesn’t in bus overhaul. 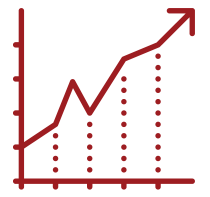 We continually improve to ensure that you get the very best overhaul, and the most reliable vehicle for years to come. 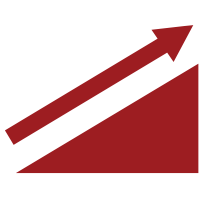 The repair process typically takes 4 to 8 weeks depending on the scope involved. 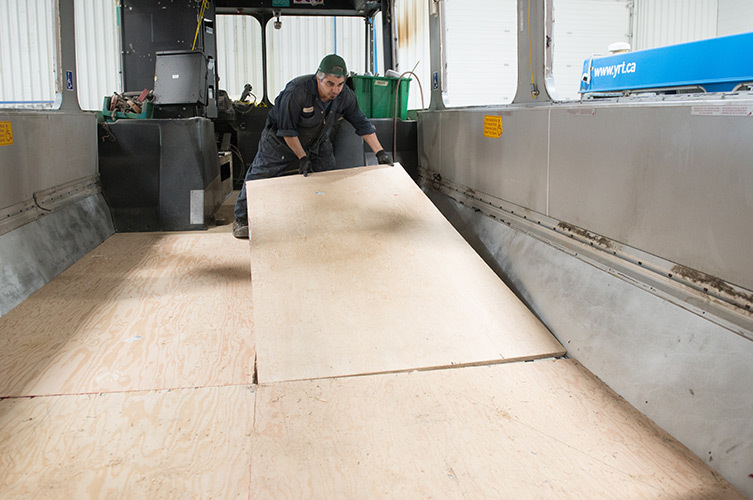 Most Transit facilities typically are not equipped for this process as it is highly labour intensive, requires valuable shop space as well as an experienced, productive labour force. 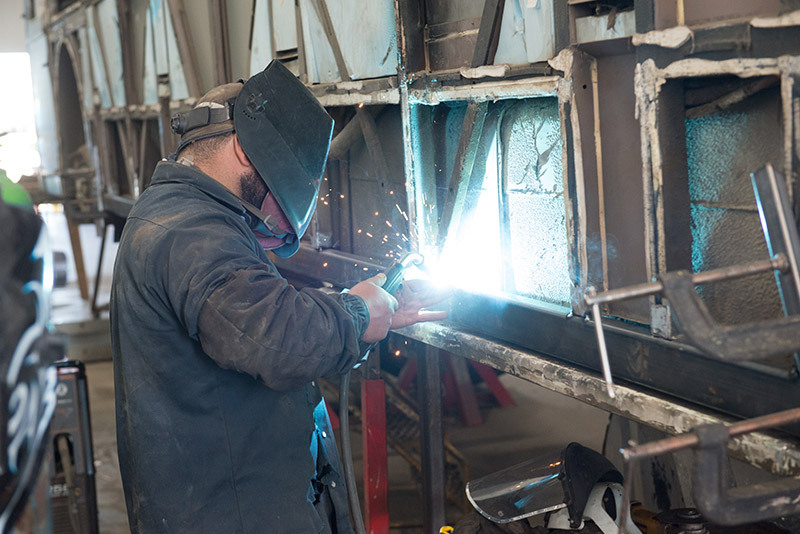 The refurbishment process must be ‘production focused’ rather than ‘maintenance focused’ and properly set up to handle the volume in the most efficient manner. North American winters are harsh on equipment and buses are increasingly susceptible to the elements on our roadways. Fleets may look visually fine but there are hidden problems. 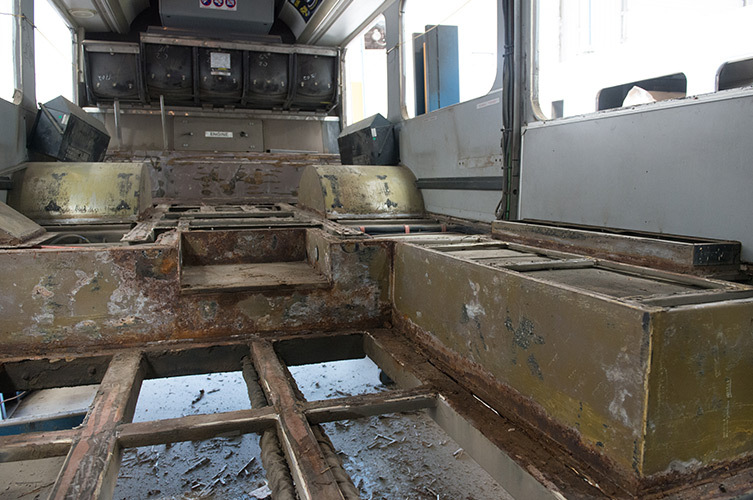 Structural integrity can be failing despite the bus being mechanically sound. 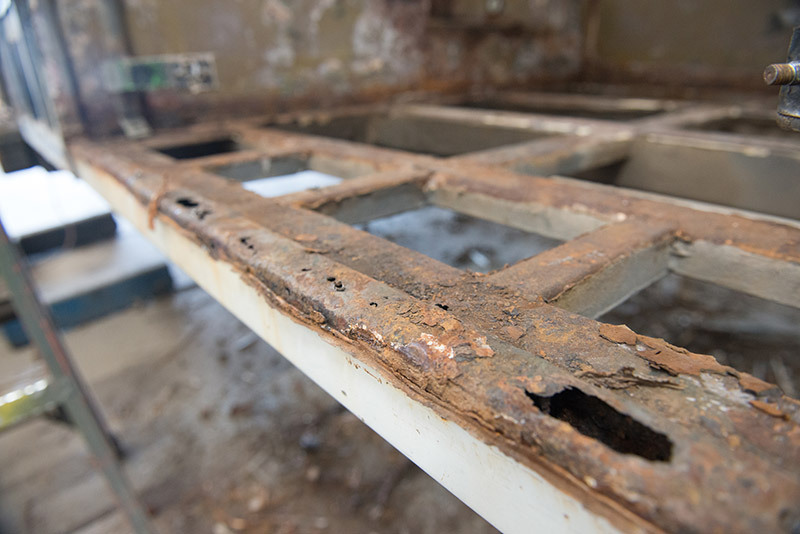 Corrosion typically becomes a structural problem around the 8-10 year mark. 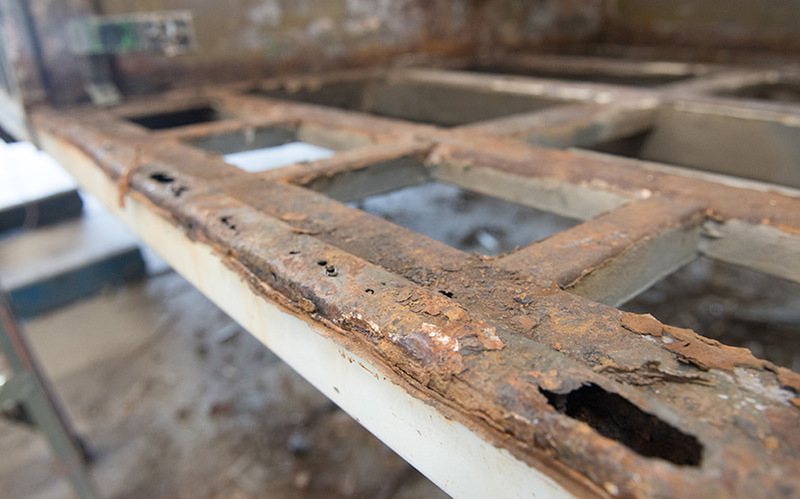 Structural corrosion typically hides behind exterior panels and below the floor. Stretch budget dollars to manage fleet age, and increase fleet size to keep up with ridership growth. 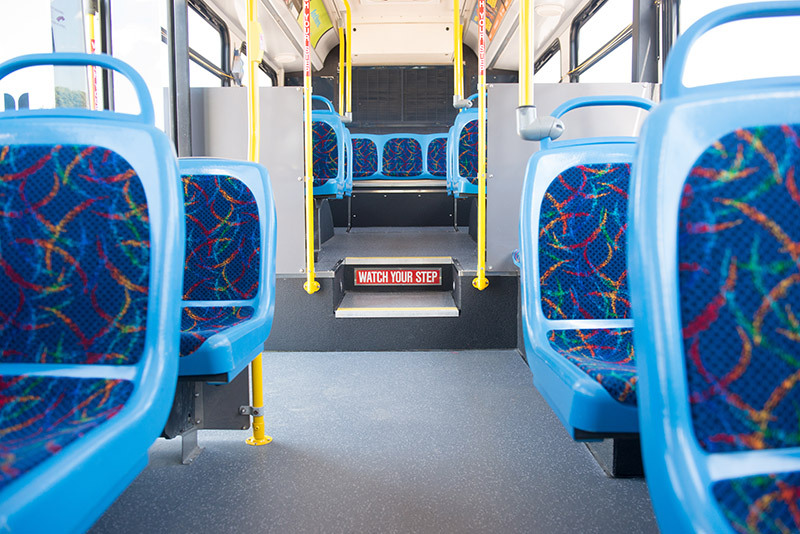 Maintain a clean, modern fleet to increase ridership – your bus is your brand. 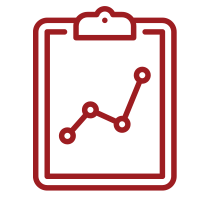 Reduce maintenance staff training on new bus models, types, configurations, etc. Greater efficiency of inventory turnover and streamlined supply chain management with fewer bus models & simplified parts requirements. 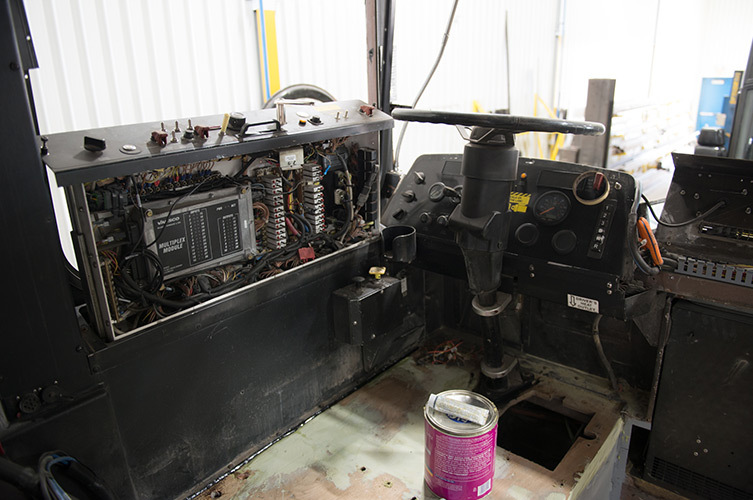 Refurbishment is the perfect time to install upgrades and component overhaul so the units are updated to fleet specifications. Removal of all exterior and interior fixtures, access doors, exterior panels, interior flooring to expose inner structure of the unit. This also includes all necessary mechanical items as in power train, axles and suspension components, heaters and cooling system components. 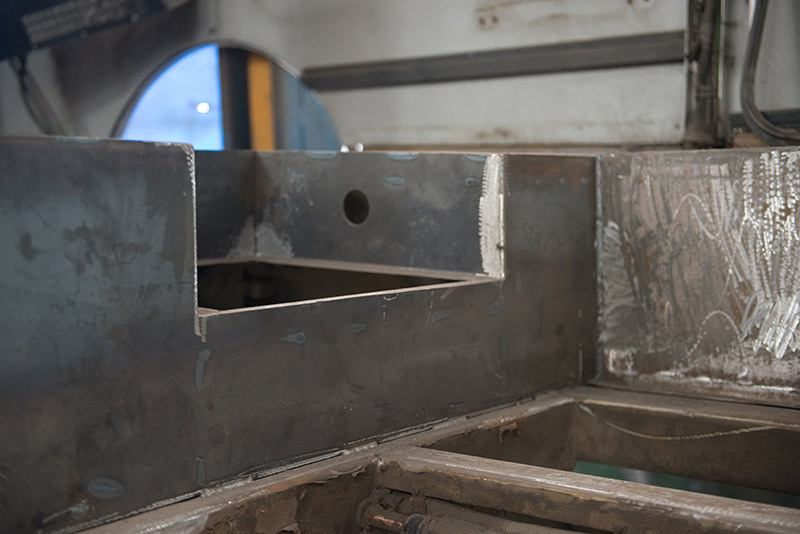 When the inner structure is exposed the defective areas are identified, corroded structural components are removed, existing structure is treated and new metal structure is installed. All necessary components in the scope of work are removed and replaced or overhauled as required. Heater and defroster boxes are overhauled for optimum performance when the vehicle is returned to the customer. 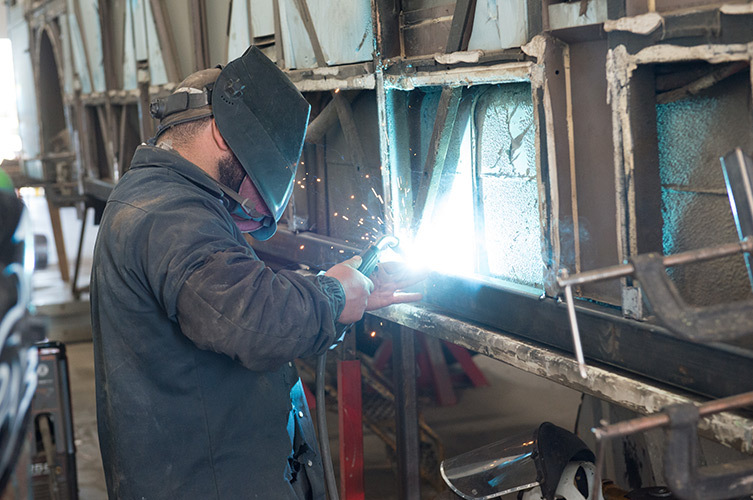 Axle overhauls, wiper systems, fuel tanks and fixtures, door control components and many other mechanical items can be attended to in the process. When the structure is complete and intact, the installation of insulation, new exterior panels, and interior flooring are completed. 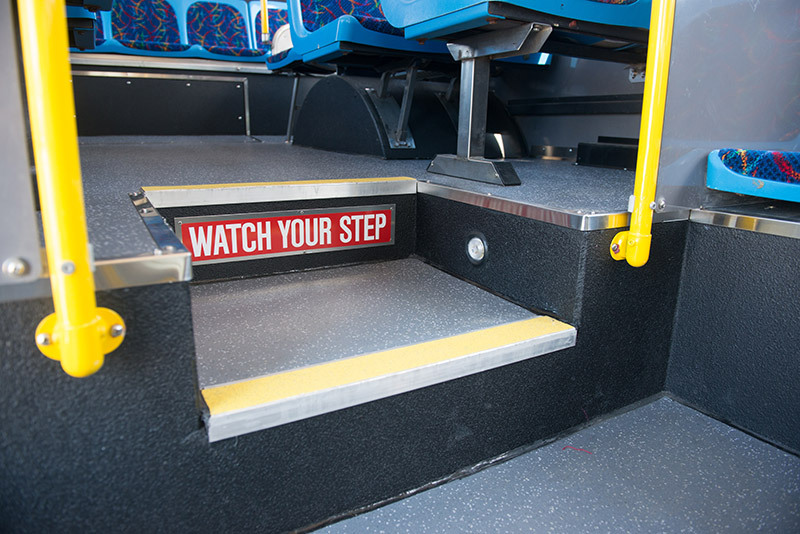 This also includes installation of new floor covering and stanchions, new or reconditioned exterior access door and panels. The unit is the inspected and all remaining minor body repairs are completed. 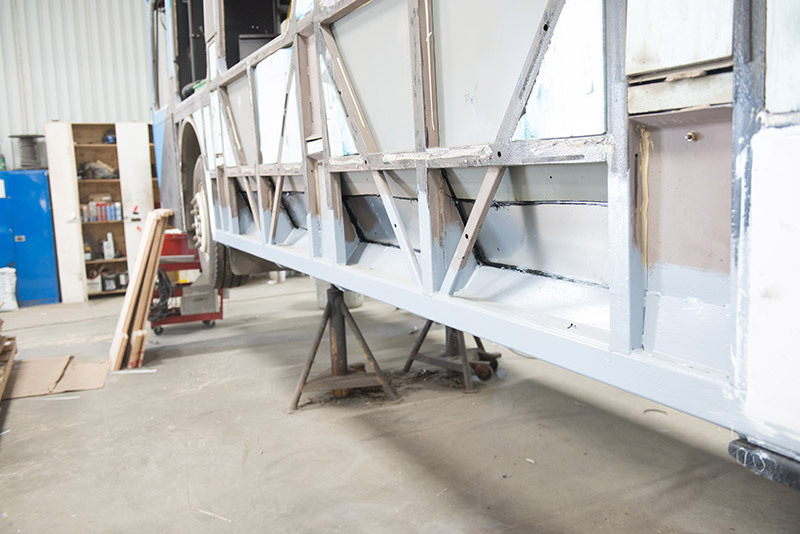 When the unit enters the paint preparation department it is taped off, primed, sanded, and prepared for paint. 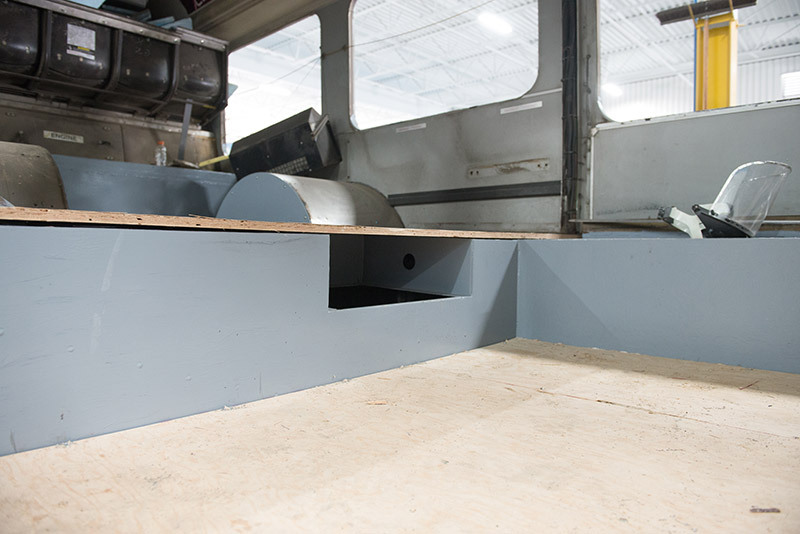 The bus will then enter the paint booth for the refinishing process. 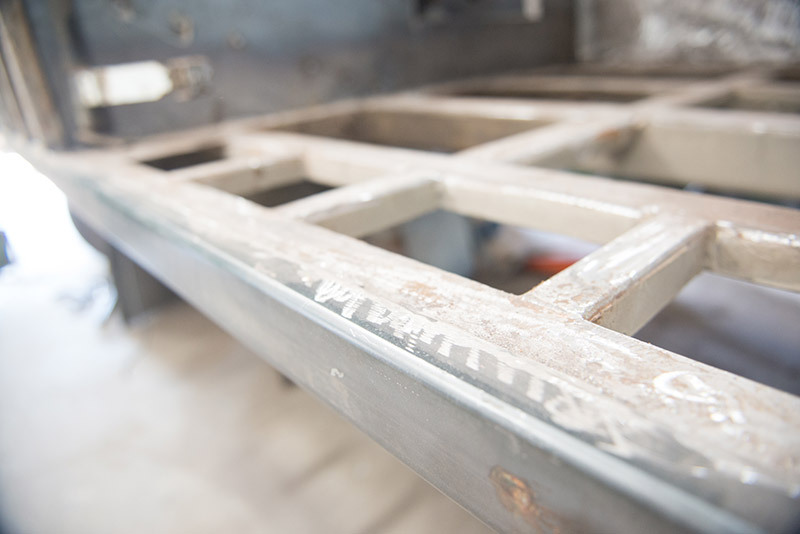 Every unit is refinished to customer and OEM specifications using only the highest quality materials. In final assembly the exterior fixtures are installed. This could include many upgraded products the customer has requested. The interior seats and remaining fixtures including all the AODA components are installed. The unit is then decaled, undercoated and test driven. Upon return from the test drive the MTB Technicians inspect all work provided prior to final cleanup, detail & delivery back to our customer. Existing funding for transit is largely focused on rapid transit expansion, light rail, subway, stations and facilities upgrades, etc. Transit authorities must find a way to keep up with ridership growth and while providing a first class rider experience. 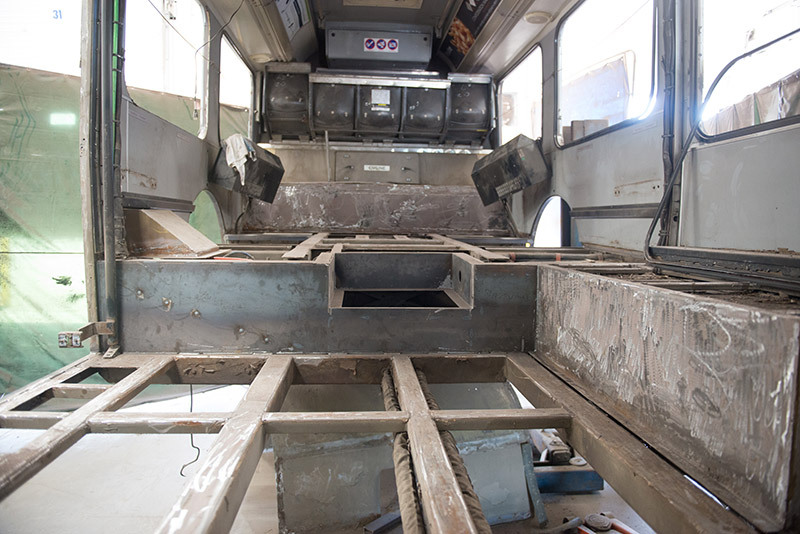 Many municipalities are responding by moving back to an 18 year bus life and we are seeing many customers engaging in more early refresh and mid-life refurbishments. We believe demand for outsourced refresh and refurbishment services will continue to increase and we have invested in the capacity and facilities to continue to service our customers’ needs into the future.